Set in a futuristic world with air-bikes and credits for cash, we come across one of Danny Estes’ lovely worlds. 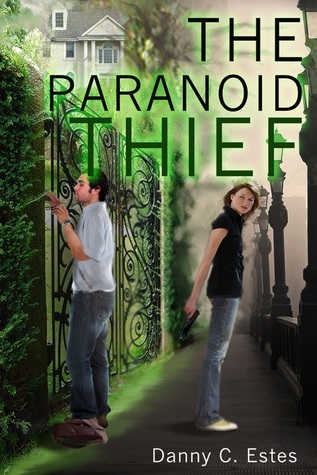 The Paranoid Thief is a lovely addition to Estes’ roster of exciting and fun to read books. It opens with our poor protagonist, Randolph, in the midst of a very bad day. As the paranoid thief from the title, he has just botched a job and has the unfortunate job of reporting to his client. 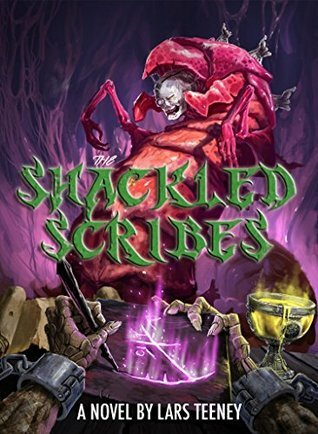 In a whirlwind of intrigue peppered with sheer ignorance our Randolph finds himself slammed into a strange cell after being tried and convicted for an atrocious murder he did not commit. Randolph isn’t alone in this prison and soon finds himself in the company of Jill, a secretary who has just lost her job and been thrown in the cell beside him. There’s more to Jill than meets the eye and Randolph begins plotting his revenge. If there’s one thing Estes is good at, it’s writing an interesting and slightly humorous story. He’s very good at writing from the point of view of the protagonist in such a way that the reader can immediately identify with them. 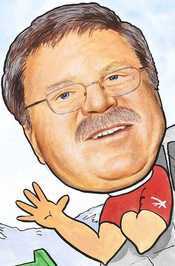 As with most of his books, there is a sexual component that isn’t too over the top. 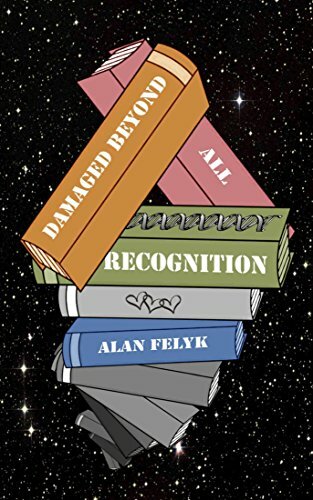 The stories are told from a male point of view and that is just what readers get: an unfiltered look at this world through the eyes of a man. Expect physical descriptions of female characters and which body parts the protagonist enjoys the most. For The Paranoid Thief there were some disappointing spelling mistakes and some incomplete sentences. Having read other works by this author, it was a surprise to see them. Normally his works are clean with very few mistakes. The incomplete sentence in an early section of the book was the most disheartening as the reader is left to figure out what Estes meant. While it is still pretty easy to finish it in the readers mind, that’s not what people are looking for. Estes makes up for this with his exceptional story-telling skills and his excellent descriptions. There are times when the book feels like a narration of a movie. The action certainly does not disappoint and the way Estes is able to lead his readers by the nose and keep them wanting more is excellent. As a short read, The Paranoid Thief by Danny Estes is a highly recommended addition to any library. As soon as you start reading about our hapless protagonist Randolph and his really bad day, you’ll want to continue reading to find out how it all gets resolved. Short, without leaving out any important information, this fun read feels like an author’s careful first step into the literary world. It’s a good first step and it reminds us all that perhaps we should pay more attention to those around us. Especially their eyes. West Point, the school for those that value honor and tradition. A group of elite students and soldiers that want nothing more than to continue the long-standing traditions and be the absolute best out there. It is also a school that has long been a boy’s only club, stuck in the mindset and traditions of the male gender. However now, women are there. They are changing things and not everyone likes these changes. When Jan, Kristi, and Pamela start leaving a trail of bad luck behind them they are branded as witches. Jan is convinced someone is out to kill her. It isn’t long though before Kristi and Pamela are also targets, someone wants them gone for good. 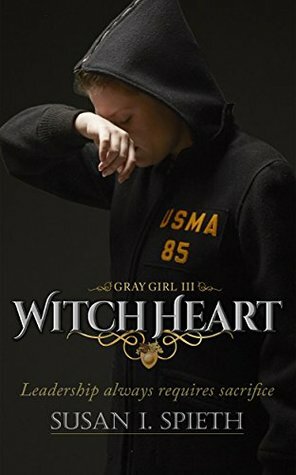 Susan Spieth takes readers into the world of being a West Point cadet in her novel Witch Heart. The novel starts out at Army Airborne School in Fort Benning GA. At first the novel is mildly humorous as you realize that Jan the main character is afraid of heights. Why is she at Airborne School? The simple answer is, she is a West Point Cadet and she will not fail at anything. We start getting some of the back story of her bad luck and how her old roommate Violet killed herself. The reason for why this happened lies deep into the novel and Spieth takes the reader on an emotional journey to get to the answers. Along the way you find romance with Jan and fellow Cadet Rick, and friendships so deep hazing and Honor Courts will not rip them apart. The plot deepens and the witch hunt continues, all we know of the antagonist is that it is a male that wares a black ski mask. This mask holds a special meaning for him but you don’t know what that meaning is. After there are three deaths all from the time Jan, Kristi and Pamela arrive at West Point, they become known as the witches’ coven. The mystery intruder braking into rooms is only known as the man with the ski mask and he reveals his plans and hate for two of the women especially. The author has given a lot of time into explaining the environment at West Point, it is a boy’s club atmosphere that is just tolerating women in the ranks. I feel this is still relevant today, that many feel West Point should still be an all-male environment. The author uses higher ranking officers to brush off hazing rituals as good old fun and traditions. It speaks of the hostility that women face when they are told “you want to be one of us deal with it” and are left with little options; all too real of a situation. Susan Spieth is able to tap into the fears and anger that these female cadets feel. While not overly complex in plot lines, the social structure and interactions of the characters make this a complex novel. The reader is drawn into the stories of Jan, Kristi and Pamela and how they have survived to be 3rd year cows’s at West Point. This is not your mushy feel good novel, but it does speak to the strength of women cadets and their ability to overcome the odds against them.